My favorite period of Rush’ history has always been the section of studio albums ranging from Caress of Steel to Hemispheres. Beyond that set of discs their sound moved more towards accessible shorter tracks. The truth is though, even within that foundation they have always been able to produce sounds that are above and beyond what a lot of groups do. This disc is one of the better ones of fairly recent times. That said there are a few weak tracks here and overall the production is a bit too slick. As Rush singles go, this one is quite strong. The rhythm section, both Peart’s stellar drumming and Lee’s driving bass are really responsible for that. If there’s one major complaint it’s that there’s not a lot of Alex Lifeson (other than the solo) in this track. There are bonus points, though in that once it does show up, Lifeson’s guitar continues to solo on through – even while there are vocals - for quite some time. I’ve always loved tracks that don’t compartmentalize the instrumental solos. The chorus hook is quite strong, too and we do hear some keyboards throughout. Well, if there wasn’t enough guitar on the last track, they fix that problem right off the bat. This is a meaty, crunch fest with a rubbery sort of riff driving it. It’s not as catchy as the opener, but it’s got a lot meaner feeling to it musically. They drop it way back for a bridge section but Lifeson fires out with some seriously fierce soloing afterward. This alternates between a more melodic rocking sound and something that’s crunchy. In that aspect it feels somewhere between the first two tracks. However there is no point of the song where it feels like they forgot about the guitar. I don’t think this one is quite as strong as the other two, but it’s still a good number. One of the real highlights of the disc, the lyrical content to this song is brilliant. The musical composition is essentially a powered up ballad track, but there’s a lot more going on than that. This one is really an incredible piece of music. This is pretty lackluster. There’s nothing terrible about it, but it’s also just kind of generic. At times this feels more like AC/DC than Rush – but only the most typical of AC/DC. Lyrically this is along the lines of “Men Are From Mars, Women Are From Venus,” although it’s more far reaching. Musically it is a cool number. It’s got a rather rubbery texture on the verses and the choruses seriously rock out. We are back into “so-so” territory. This is another track that’s not bad, but certainly far from anything special. The chorus has some charm to it, but overall this is a throwaway. This is more like it. In some ways it doesn’t vary all that much from the previous number, but there’s a lot more fire in this one. Plus the cool hard rocking riff with spoken vocal is just plain cool. They rock this one out as one of the highlights of the CD. The album’s instrumental this is a great piece. 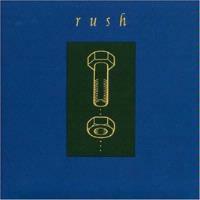 You really can’t go wrong with a Rush instrumental jam as they all seem to encompass the best of the group. This is a fine example of that. It’s definitely the most progressive like track on show here. A song about the difficulties men and women have understanding one another in romantic situations, this is brilliant both from a lyrical and a musical standpoint. It’s not worlds apart from any of the other music here, yet it just works very well. I’ve always really liked this one and the guitar solo/instrumental segment here is rather reminiscent of that older era of the band. They should have used something for a closer. This track is OK, but just not really all that special. It’s kind of a let down as closing salvo.